Imagine if you took one of Pink Floyd’s instrumentals, extended it to full album length, and then crossed it with a band of traveling gypsies who were roaming the far corners of the earth putting on a tale of tragedy and loss. If you can’t imagine that, well, then it’s your lucky day because Daal can play it for you. There really is no other way to describe Dodecahedron but as a complete trip. This is music you can get lost in, that you can let your mind wander through as it lilts and pulses and dances through spacy soundscapes and emotional melodies. More concretely, I would describe Dodecahedron as falling somewhere between Krautrock and fusion, with additional forays into a more classically influenced sound and even some brief contact with avant-prog. Many of the songs are built around a repeating motif that is gradually developed and elaborated on. The playing is superb throughout; there’s a fantastic blending of ambience and chaotic performances, and the variety of sounds used is incredible. There are healthy doses of winds and brass, but vintage synthesizers are also used to great effect, as is the occasional blistering guitar solo. Perhaps surprisingly, though, for an album that relies so much on ambience, the melodies are also phenomenal. They’re incredibly varied as well; Part VI closes out with a somewhat gothic, classical sounding outtro and Part VII immediately picks up with a light, almost bubbly dance of melody that still manages to thematically fit with the track before it. This of course is followed up with the nearly Musique Concrete introduction to Part VIII, yet never does the album feel lost or listless despite the vast range it covers. If I tried to describe every musical style that appeared on this album it would end up a 2000- word review, so for the sake of the reader I’ll abridge those comments somewhat. Rest assured, though, if you can think of a style of progressive rock, it probably appears somewhere here. This album by turns rocks, whispers, groans, drifts, and occasionally even grooves. I have to emphasize again, however, that not once does it ever lose its way. If I had to delve into unwieldy, over-wordy, pretentions metaphors again (and, since I already brought it up, I may as well), I would describe listening to this album as walking through a dark, abandoned castle and finding that it had displayed paintings of the entire universe. The closest (actual) comparison I can find for this is Estradasphere’s masterful album Palace of Mirrors; there are stylistic similarities, to be sure, but the real similarity comes in the scope. If you liked that album then don’t hesitate to pick up this one. In short, this album is a wonder. 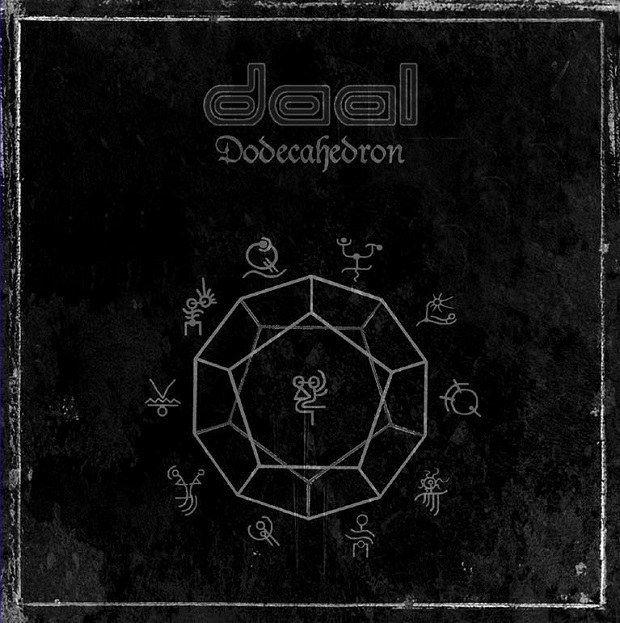 It is exceedingly rare for a purely instrumental album to hold my attention for over an hour, but Dodecahedron is that rare album that not only holds your attention but forcefully pulls it in an immerses it. Words can’t really capture everything that this album has to offer, and in fact I fear some of my attempts to connect it to concrete genre labels have been woefully inadequate, but at this point I suppose they’re as good as they’re going to be. Just know that this is a beautiful, beautiful album that should satisfy even the most distracted of prog fans. Astoundingly good.